Who needs a garage door maintenance service? Is there something wrong with your garage door? Looks like most of the parts are either outdated or heavily damaged. You know if you keep going down that road, then you’re opening yourself up to more expenditures. If you need a hand, we are here for you. 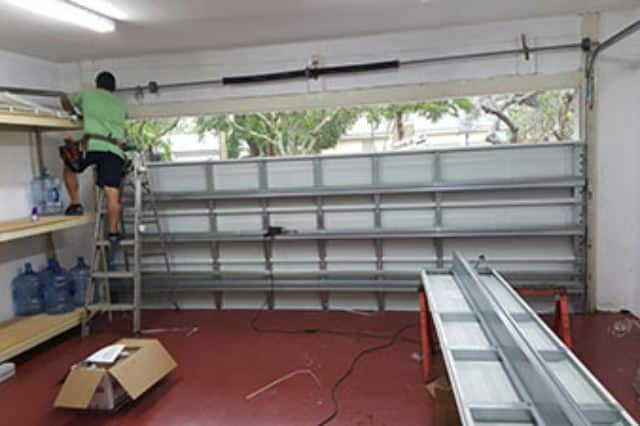 Another way of saying that is, “The Express will see you now.” Garage Door Repair Grand Prairie TX has been counted as one of the excellent providers of garage door services in Grand Prairie. We have been working with people’s garage doors for many years now and we have earned their trust. We want the best home security for everyone and this is the way we know how to. The best garage door services, that is what we offer. These services start with repairs, replacements, and installations. You come to us with a problem and we solve it for you. But what really matters, is what comes next. After the repairs or replacements, there are certainly more technical problems to come. That is where you will seek maintenance jobs. We will assure to take care of your garage door all the way. We are not saying that problems will show soon. Our services make sure that your garage door is in good shape in the long run. It is still important to check up on your garage doors regularly, like once a month or once every two months. If you’re wondering if this is necessary, then yes, it is. Here is why. 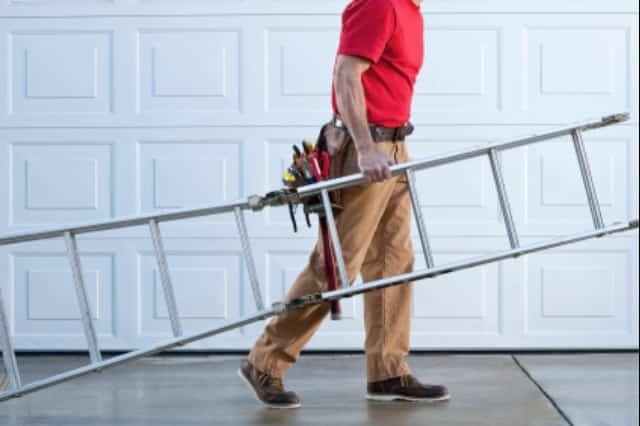 Why do you need a Garage Door Maintenance Service? First, the Express offers several maintenance packages. We can either provide them once a month for the whole year or quarterly. The maintenance service we provide is comprehensive and extensive. We check all the garage door parts to find out which one needs repairs or replacements. Our garage door maintenance service will make sure that your garage door is functioning well and we will keep it that way. We will come to you, no matter the time. The Express is in 24/7. Now, here is why you need maintenance services. Your garage door weighs 240 to 250 lbs. 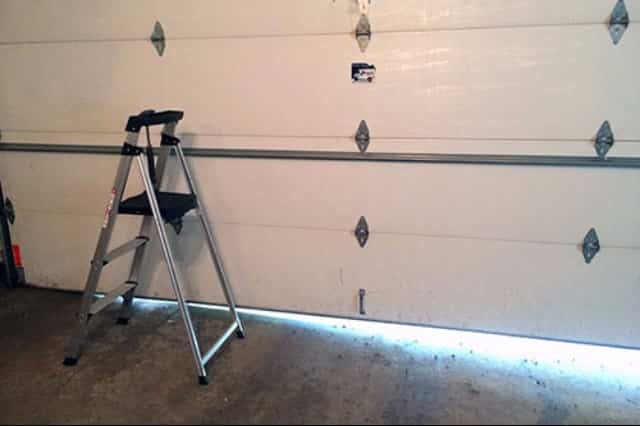 It is unfortunate that most people only realize that their garage door is broken, when it is completely broken. A weakly- structured garage door is sure to come crashing down, sooner or later. Now think about this, what if the garage door falls onto something or worse, someone. The bottom line is an outdated garage door without regular repairs can cause severe damage or injuries. Another reason for that is to protect your family from the possibility of property crime. Criminals are convinced that the front and back door of residential properties are equipped with alarm systems. That is why they target the garage instead. A garage door, especially with damaged panels can be easily disassembled. Restrict these criminals from entering your home and taking away your belongings and harming your family. You need our expertise with garage door maintenance. Everyone working for the Express is a professional and is familiar with all the parts of the garage doors. However, there are a handpicked few who provide garage door maintenance service, The M-team (Maintenance Team). These people are responsible for looking for damaged or outdated parts. It sounds easy, but it is not. We make sure to check everything including the internal parts of the garage door. An important reminder: most of the garage door parts from the inside are high tension. High tension meaning the state of being stretched. Now, we encourage our customers to conduct their DIY repairs. Just make sure to wear the proper gear and use the proper tools. Another important reminder, leave the major repairs to the professionals. Now going back to high tension, these parts like the springs, might snap if handled improperly. Now if that thing hit or struck someone, major injuries are guaranteed 100%. We also observe professionalism and integrity in the workplace. The workplace for us is of course, either residential or commercial properties. We want our customers to feel secured before, during, and after the services. The before part is for the customers to be confident for hiring our services. The during part is for our customers to feel safe with strangers in their home, those strangers are of course our team. We want to forge bonds with our customers. Finally, after whatever service we provided, we want our customers to be satisfied with the results. We want them to go to sleep at night, knowing that their garage doors are well –maintained and therefore well secured. The Best in Garage Door Maintenance – Call Us! If you’re interested, give us a call and we’ll process your request as soon as possible. If you want, you can visit our office and we can discuss everything that is going on with your garage door and think of ways on how we can be of help. Garage door maintenance is our way of informing the customers that something is wrong with their garage doors. We want our customers to be familiar with the garage door parts like the same way we are. For anyone interested with garage door services, don’t hesitate to call. If you’re worried about the charge fee, then you don’t have to. All of our services are affordable and we have a refund policy for your financial security. The first step in this is recognizing the problem and then asking help to solve the problem. We are the solution to all of your garage door services. We assure you that our services are 100% guaranteed, all the time. If you’re still in doubt, get in touch with our regular customers and they will let you know the standards of our services. If you’re unhappy with our services, please let us know and we will do something about it. We welcome positive comments as well as negative ones. We want perfection in what we do and we are not there yet. But sooner or later, Express Garage Door Repair will be recognized as the best garage door service provider in all of Texas.